"Whatever Is Lovely" by WaterBrook Press is absolutely Amazing. I love it. I love coloring. I love giving worship to my Lord & Savior, Jesus Christ. What is better than a coloring when you are an adult? 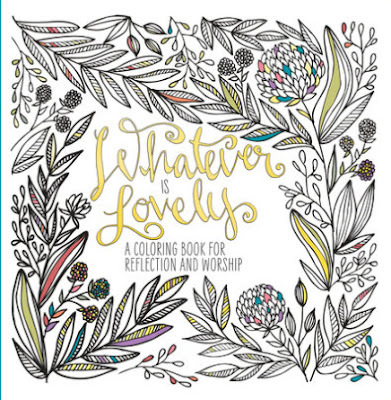 A coloring book that has quotes, hymns and scriptures! Back off kiddos...this book is for MAMA! 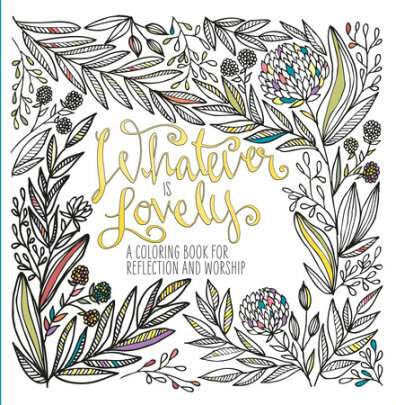 If you are like me and like to color your stress away, or are looking for a great gift to give someone...check out "Whatever Is Lovely" & color your way to peace & worship!